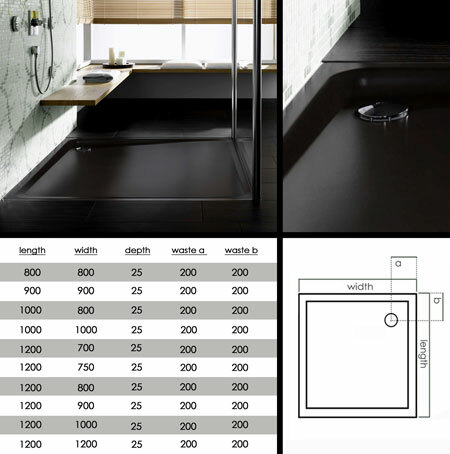 This black low level shower tray has a super hard wearing stove enamelled finish that is baked on at a temperature of 850 oC, which is so hard wearing that it is acid resistant, impact resistant and scratchproof. These thin metal shower trays are so stable and long lasting that they are supplied with a 30 year manufacturers guarantee. Shown here in black this tray is also available in the shower tray colours of cream, beige, grey, pink, green and lilac to special order (allow 6/7 weeks). * Black with other colours available. * Shower tray supplied in 10 sizes.